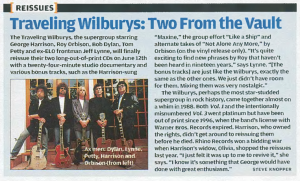 The Wilburys, perhaps the most star-studded supergroup in rock history, came together almost on a whim in 1988. Both Vol. 1 and the intentionally misnumbered Vol. 3 went platinum but have been out of print since 1996, when the band's license with Warner Bros. Records expired. Harrison, who owned the rights, didn't get around to reissuing them before he died. 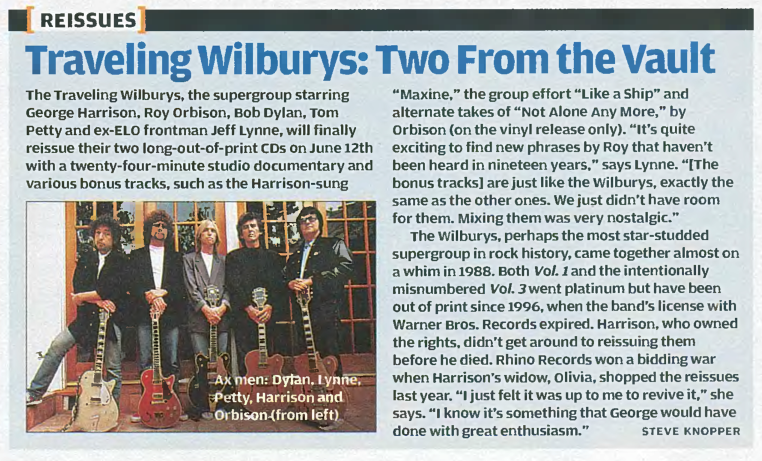 Rhino Records won a bidding war when Harrison's widow, Olivia, shopped the reissues last year. "I just felt it was up to me to revive it," she says. "I know it's something that George would have done with great enthusiasm."